If you've got an issue and you need to contact TV news stations in Charlotte, here's what you need to know. WBTV (Channel 3) is Charlotte's CBS affiliate station and is often the leader in news ratings. It aired its first programming on July 15, 1948. It was the Carolinas' first television station and just the 13th in the country. The studio that hosted programming was the first building in the United States built specifically for the production of color television. It was also the first station in the world to record and rebroadcast programs on color videotape, the first to use a live camera inside a race car, and the first to have a fully computerized news operation. It's "Carolina Camera" show, a local favorite for more than 40 years, highlights unique personalities and places from around the Carolinas. The station is currently owned by Raycom Media. WCNC began July 9, 1967, as WCTU, and was North Carolina's first independent television station. Like most independent stations, it didn't have local programming, but showed cartoons, sitcoms, old movies, and sports - programming that wasn't expensive. It was the original home of Charlotte icon Jim Bakker's television ministry. In the late 70's it received affiliation from ABC, but the station would be sold several times and land as an affiliate for NBC. Although it usually remains about third place in local ratings, WCNC is one of the country's most frequent recipients of Regional Emmy and Edward R. Murrow Awards. The station is currently owned by Belo Corporation. WSOC Channel 9 is Charlotte's ABC affiliate station. It aired its first programming on April 28, 1957, becoming Charlotte's third television station. It's now the second oldest continually operation station in the city. The station was originally an NBC affiliate and shared ABC programs with WBTV (since there was no ABC affiliate in town). Anchor Bill Walker was a longtime favorite of many locals, manning the news desk from 1971 until his retirement in 2005 - by far the longest-tenured local anchor. The station is currently owned by Cox Enterprises Inc.
WJZY is Charlotte's affiliate of the Fox network. It first aired on March 9, 1987, as an independent, the first new full-power station in Charlotte in over 20 years. In the mid-90s, it became an affiliate of the UPN network and began airing classic sitcoms and more recent movies. At one point, it was the fifth strongest UPN affiliate in the nation. It was the primary home of the Charlotte Hornets (and briefly the Charlotte Bobcats) and currently airs ACC basketball and football. In 2006, WB and UPN merged to form the CW network. WJZY is currently owned by Capitol Broadcasting Company. WCCB (Channel 18) is Charlotte's CW affiliate. The station aired its first programming on November 1, 1964. After bouncing around between ABC, NBC, and CBS programming, the station would become an affiliate of a new network, Fox, in 1986. Due largely in part to the fact that it hosts Carolina Panthers' games, WCCB is one of the strongest Fox affiliates in the nation. It was the only original Fox affiliate remaining in North Carolina. The station is currently owned by Bahakel Communications. In July of 2001 Spectrum News, formally "News 14 Carolina," debuted in Raleigh, making it the first 24-hour local news station in the area. The network added a Charlotte bureau on June 14, 2002. The station's studio has been called "the most technologically advanced" in the world, with robotic cameras, and software that allows reporters to edit video themselves at their desks. News 14 Charlotte also had bureaus in Gastonia and Salisbury, but those were subsequently closed when administrative, production and master control jobs were moved to Raleigh as a cost-cutting measure. For three seasons, the network hosted Charlotte Bobcats games. The station changed its name to Spectrum News​ and is currently owned by Charter Communications. WAXN debuted on October 15, 1994, as WKAY. It The station is a sister to WSOC, and they share studios. At the time, the network was owned by pastor Garland Far, who named the network after his wife, Kay. The station aired a mix of religious programming, old movies, and syndicated programming. The station was sold in 1996, the call letters changed, and WSOC took control. WSOC has the rights to numerous syndicated shows but didn't have the slots to show them. Those shows fell to WAXN, the most popular being The Andy Griffith Show. WSOC produces a nightly 10 p.m. news show, which has claimed the number one spot in ratings for a while. 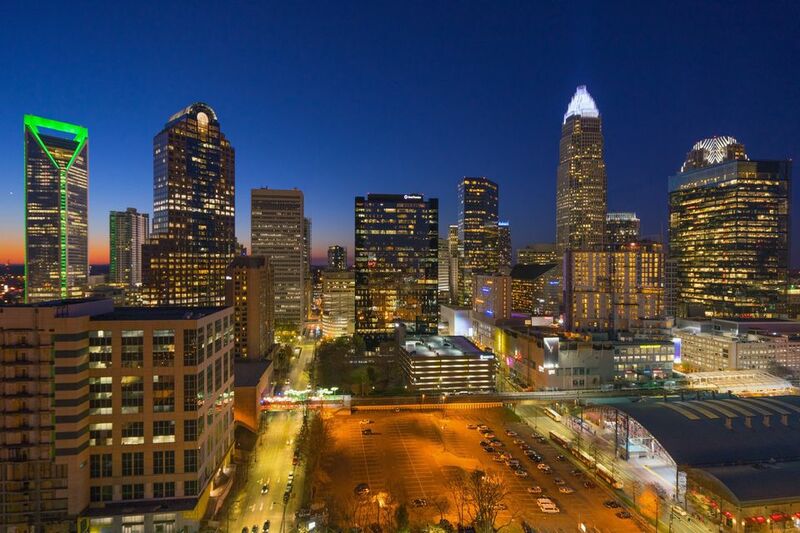 WAXN aired the first high definition prime-time broadcast in the Charlotte market. The station is currently owned by Cox Enterprises. Airing its first programming on August 27, 1965, WTVI is Charlotte's PBS affiliate. As with most PBS networks, the station airs documentaries, educational programming, educational children's shows, and an occasional concert (and, of course, annual pledge drive telethons). The station is owned by the Charlotte-Mecklenburg Public Broadcasting Authority. Mecklenburg County covers the cost on the digital broadcasting equipment and maintains the station's studios. The county also pays WTVI close to $100,000 annually to broadcast county commission meetings.